Feeling irritated tonight. I was looking forward to a productive morning of writing tomorrow, but I was told that our daughter’s nursery will not be picking her up tomorrow morning. I was confused. So, what happened? Well, my wife called them last Friday to inform them of a change of schedule, that we’d like her to go to the nursery on Wednesdays, as well. They said they understood and it’s fine. Fast forward to tonight. My wife got an email from them saying that they will not pick her up, as we didn’t tell them about the change of schedule by email. What? They’ve known about the change of schedule since last week, yet they won’t even add her to the pickup schedule simply because we didn’t email. Well, there goes my morning tomorrow. 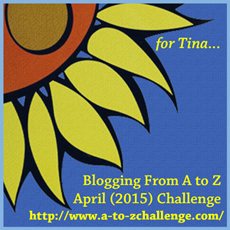 No chance to do my A to Z Challenge writing. I should be able to keep on schedule, though. It’s just irritating. When I was a kid, I liked to take a book outside on a sunny day and read. The feeling appealed to me so much. It still does. These days, I do most of my reading on the train or during my lunch break. 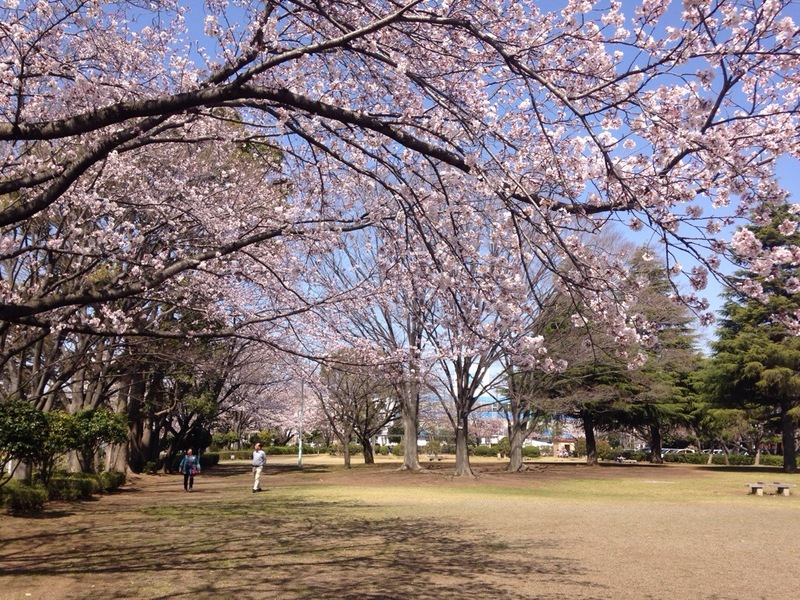 But today, the weather is perfect. It’s a comfortable 20 degrees Celsius with a light breeze. 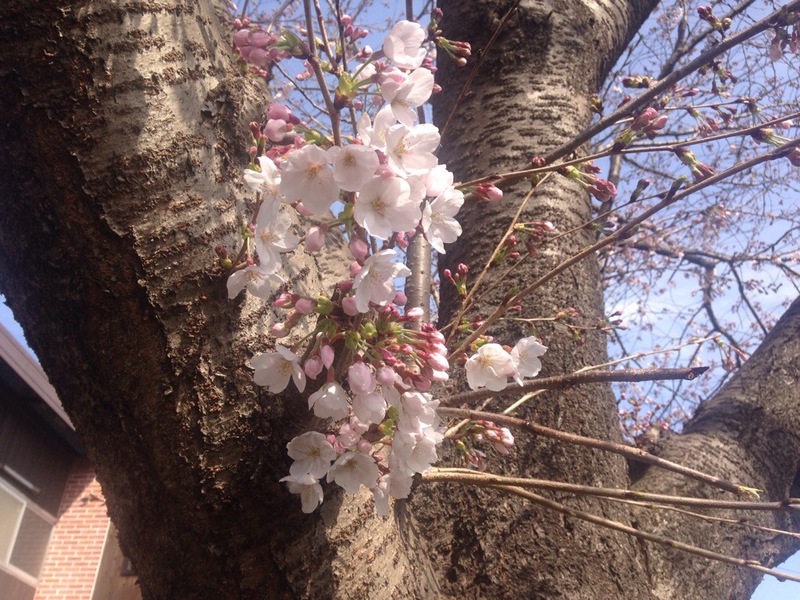 And the cherry trees are blooming. I want to read here. How about you? Where do you like to read? With all the news about the Indianapolis state government passing a law that is “not about discrimination,” it sure sounds like it enables business owners to discriminate against the LGBT community. It’s been said that Indiana’s not the only state, that there are several others have similar laws. That is true. But Indiana’s case is happening right now, and it’s important to talk about this. The other states will be looked at as a result of this discussion. But you may ask me why I care. I’m Canadian, I don’t live in the US. Well, I have friends in the US, including some in Indiana and other states that have these laws. They have friends who could be affected. And these days, it’s become internationally known that the US is a hotbed for bigotry, especially with the way the Republican party (particularly the old tea party group) has been going out of their way to discriminate against gay people (not to mention pretend that climate change isn’t happening, but that’s another story). The US has been having race problems a lot, too. I’m not an overly emotional person, but I have this to say: Grow up, you morons! Why can’t you just learn to get along and let others live how they like? Why do you have to push your religious and political agendas down everyone’s throats, as if gay marriage is a threat to your own way of life. It is not a threat! Only bigots think this way. I mean it. If you think that gay marriage threatens your own personal way of life, you have no intelligence whatsoever. I dare you to try to give a rational explanation that justifies discriminating against people different than you. Go ahead, do it. I bet you can’t. If you want to try, the comments below await you. For everyone else who is levelheaded, has compassion, and accepts people for how they are, I’d also like your input. Eric Cross, an enlisted warlock in the Southern Claw military, is part of an elite team of soldiers and mages in pursuit of a woman known as Red — a witch whose stolen knowledge threatens the future of the human race. The members of Viper Squad will traverse haunted forests and blighted tundra in their search for the traitor, a journey that ultimately leads them to the necropolis of Koth. 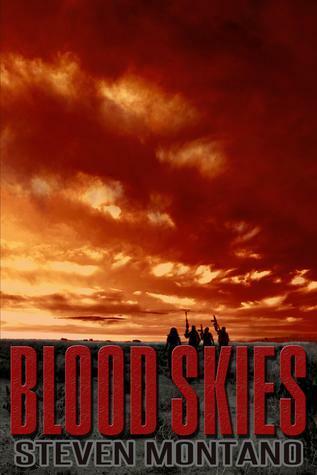 Experience a dark and deadly new world in the debut novel of the “Blood Skies” series from author Steven Montano. Blood Skies, the first novel in the Blood Skies series by Steven Montano, is an interesting take on the vampire genre, combining it with witches and warlocks, zombies, and a post-apocalyptic world. At first, I was thinking this was going to be a typical vampire story, but it surprised me. I wasn’t expecting it to be a quest style dark fantasy story. Cross is a relatively inexperienced warlock in the Viper Squad, but he’s with his friend and fellow soldier Graves. Graves is quite laid back, and it seems he’s the only one who acts like that. Cross, and later, his sister Snow, are powerful magic users with different types of magic. They are both a bit uptight, though. Cristena comes along, and as she is another witch, she has her own set of impressive magic. I found her to be a bit of a mystery at first, but later on, her character showed through very strongly. But I didn’t like her at all. I liked Cross, Graves, and Snow, though. On the other side of the war are the vampires, though we only really get to know one of them. And we also have Red, the main antagonist. Even through the entire book, I still wonder about her motivations. I feel that not everything was revealed in this book. The plot is a rather straightforward quest to stop Red, basically. It involved a lot of magic, guns, and lots of death. Incredible amounts of death. And I mean you shouldn’t get too attached to the characters because there’s a good chance he or she will die. I enjoy the quest type of story, so this was a nice trip for me. We get to see different lands, different combatants, and different dangers, but the constants are Cross and Graves. However I found some of the deaths were a bit unnecessary. There’s one battle in particular that seems completely unnecessary for the story at first, but I could see why it was important for the advancement of the story. The story does come to a conclusion, but there are still some open threads that are most likely continued on in the following books. The setting itself is richly described. It had a dark atmosphere, and I felt like it must be cold and dreary there. The world is a post-apocalyptic Earth somewhere in North America (an American city is mentioned, actually), but it’s been merged with another world filled with vampires, zombies, and other horrors. Montano does a great job at describing the world, but I wanted to know more. What about outside the Southern Claw? What’s the rest of the world like? Maybe we’ll find out later. The magic system is very interesting. Men and women are different, and their magic is also controlled differently. Each mage has his or her own spirit that they are in constant contact with, and it’s as if they are an extension of themselves. You’d have to read it to understand. Overall, I found this to be a very interesting idea. I wasn’t expecting much, as I’m not a fan of vampire stories, but I enjoyed it. It was a dark fantasy with elements of vampires, zombies, and steampunk. With an overall rating of 3 1/2 out of 5 stars, it’s a solid recommendation from me. It’s fun to read. Sometimes I like to find out about my readers. I get a lot of comments from a lot of regular readers, but what about those of you who lurk and don’t comment? I’m really wondering about some of my more international readers, as well. I’ve gone through the stats before, which countries are my top readers, and I’ve even gone through which countries have had only one visitor to this blog ever. I think it’s time to look at them again. Now for the bottom countries, the one with only one visitor each. So, how about you? Who are you? Where are you from? Are you a regular reader? How long have you been coming here? Let me know in the comments. I’d love to hear from many people. 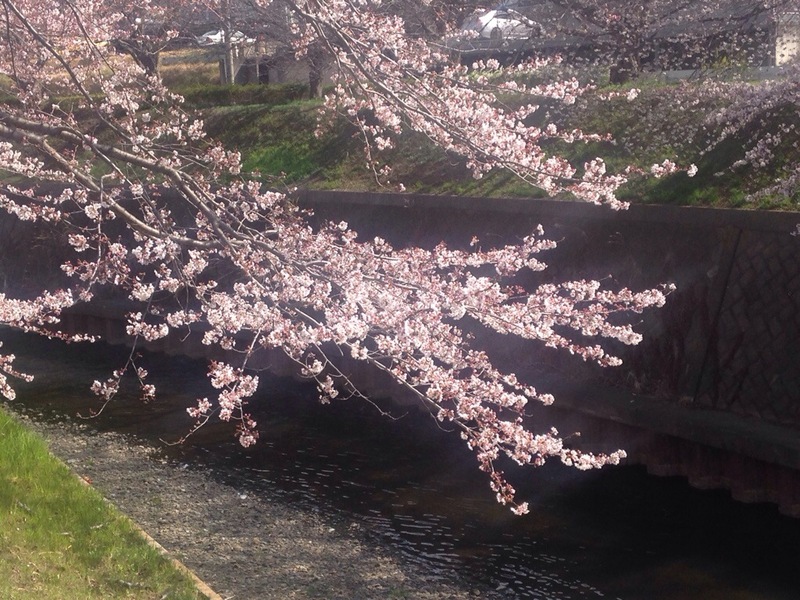 Spring in Japan means many things. It’s a time for beginnings. A new school year begins, a new business year starts, and new life appears. 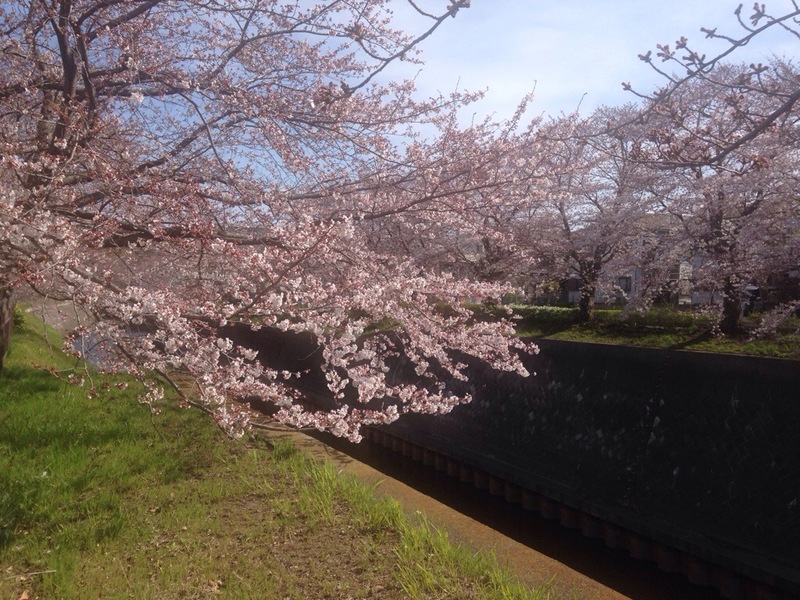 One of the biggest signs is the blooming of the cherry trees. 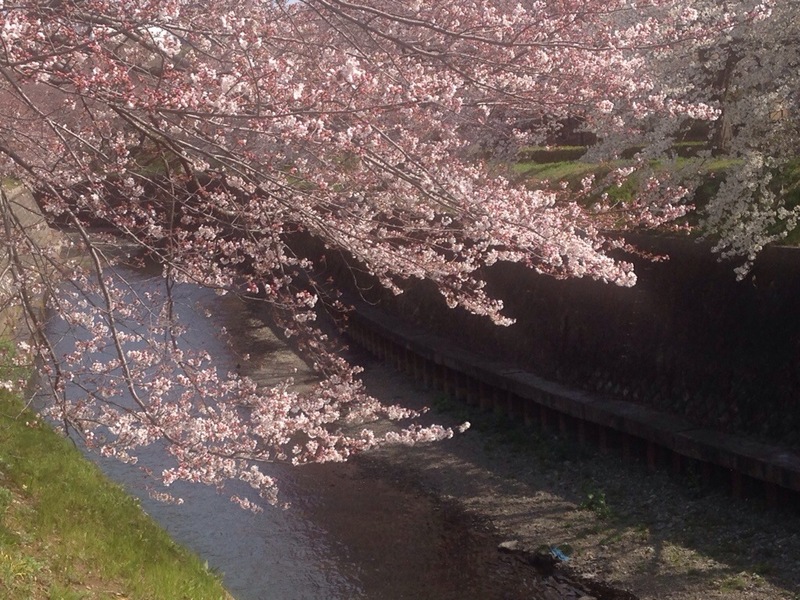 This is how it looks today, though not in full bloom yet. However, there are two other trees that impact many lives. They are sugi (Japanese cedar) and hinoki (Japanese cypress). After the war, the Japanese government planted millions of cedar trees around Japan in an effort to repopulate the forests with a tree that grows quickly and can be used for house construction. It’s a very useful tree. Unfortunately, the pollen has proven to be a problem for both trees. People are very often allergic to it. Me too. March and April may be beautiful, but for many people it’s a beautiful hell. I’ve been doing a bit of planning for the challenge so far, and I’ve decided that each subsequent story will have something to do with the previous part. So, the B story will have something to do with the A story, and the C story has something to do with the B story, and so on. I even have the first four days planned with story ideas. So, how would these characters connect? In fact, A has nothing to do with C, while B has nothing to do with D. Some of these characters may never meet, but there is some connection between them. The A story is coming on Wednesday.